Gulfport Here’s a legal victory worth celebrating, I guess. The Appeals Court in San Francisco on 2-1 vote rejected the EPA’s efforts to seek yet another delay and ordered them to produce new lead safety standards on dust and soil contamination essentially in 90 days. The agency had proposed yet another six year delay for yet more studies, and the court put its foot down. Let no good deed go unpunished though, the EPA is reviewing whether to appeal the decision to the Supreme Court rather than complying. Any celebration is marred by the total disbelief that the EPA has been dragging its feet for 17 years since the last regulations despite the unanimous consensus over the harm that lead does to brains, all brains, but especially children’s. The main driver of the appeal was the environmental legal shop, Earthjustice, formerly the Sierra Club Legal Defense Fund. We were following this issue closely because ACORN’s affiliate, A Community Voice, based in Louisiana was one of the named plaintiffs in the litigation. ACV, as its known, has been waging an anti-lead campaign for more than a decade, so it was good to see them be able to take a victory lap, even if the final outcome of the litigation is still uncertain. Make no mistake, it is just crazy that we are even talking about lead standards in the thick of the 21st century. Don’t put this on your list of Trump administration regulatory slogs and rollbacks either. As the Times reported: “The E.P.A., then under Mr. Obama, acknowledged the need for stricter rules in 2011 and agreed to take action, but never did so and set no timelines for developing a new rule.” Unbelievable, right? But, maybe not. This is a scourge of lower-income neighborhoods causing huge problems in older Northeastern states and cities and nationally, so as usual you had to really want to listen to hear their voices. Part of the problem is inattention to detail. The consensus on the danger of lead, even small amounts, is high, but the indifference is palpable. As Local 100 United Labor Unions has found in our campaigns to get lead out of school districts in Texas, the Center for Disease Control has a lower standard for lead than the EPA has, and now there are cities and school districts that have gone even lower than both, since the medical and scientific estimate of damage is based on infinitesimal amounts. 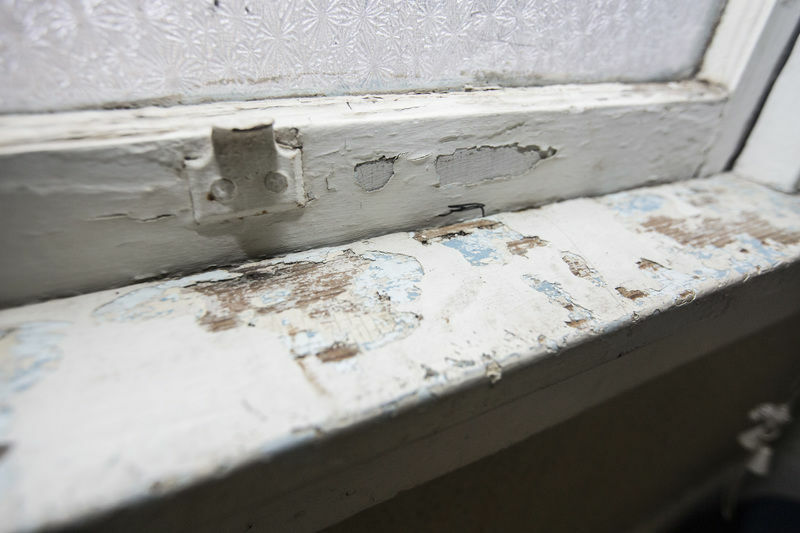 A study published in the Journal of Pediatrics in 2016 found that — despite decades of work to reduce lead in paint, dust and water — about 3 percent of children around the country exhibit high levels of the metal in their blood. 3% seems horrid, but colleagues at ACV point out that that figure is based on 3% of children tested, and testing has been extremely lax. Furthermore, they stress that the tests only take a picture of a point in time in the month when the test was given. Due to environmental and other factors attributing to dust and soil conditions, the real dangers might be masked more significantly depending on the season and timing of the test. Meanwhile we read that New York City public housing authorities fabricated reports on removing lead in housing projects there. Congressional action was needed to protect families from rent-to-own companies in some cities where inadequate prevention and inspections were done. And, we’re only talking about rules for soil and dust, and the headlines around water system contamination indicate that that’s only part of this expanding environmental disaster. We can count coup in one small battle, but the war rages on and calls for action on every front. This entry was posted in Ideas and Issues and tagged a community voice, EarthJustice, EPA, lead poisoning prevention by Wade. Bookmark the permalink.